Hareidi Likud activist, Yaakov Vider, elected to Likud convention presidency, says Likud will go to the right. Yaakov Vider, Chairman of the Hareidi Headquarters within Likud, was elected Tuesday as one of 11 members of the Likud Convention's Presidential Committee. Vider is Likud's informal spokesman in hareidi media, and recently was in the news when he fought to have the elections to the Presidential Committee moved from the date set for them – which coincided with the Fast of Tammuz 17. The struggle ended in a compromise, and the polls were kept open until 11:00 p.m., a few hours after the fast ended. Vider opposes handing over parts of the Land of Israel to the Arabs who contest it. The conflict with the Arabs is not over borders, he says, but over Israel's right to exist. He opposed the Disengagement bitterly when it came up for a vote within Likud, and as head of the Hareidi headquarters spearheaded the fight to have the plan rejected. 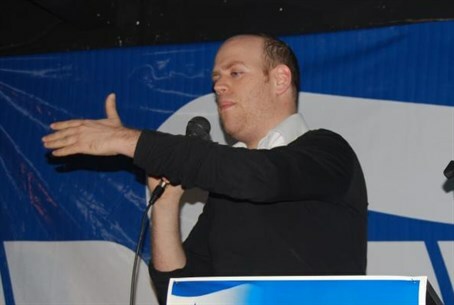 "I represent the most basic ideology of the Likud – an unflinching right winger, and proud of it,” he told Arutz Sheva. He estimated that the Likud will veer to the right in the wake of the upcoming elections to the Likud Conference.